It’s been a busy few months at TextMyJournal. Thanks to everyone who has been so patient throughout the beta testing phase! We’re cleaning up a few issues we’ve found because of your help. There aren’t enough words to thank you enough. Your feedback has been priceless! We are working on a few exciting updates to be released soon, including different options to download your journal. 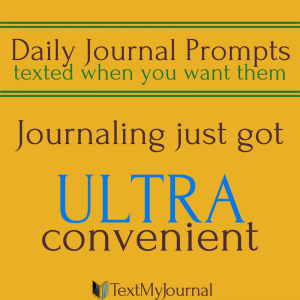 If you have a suggestion for how we can improve TextMyJournal, send us an email at team@textmyjournal.com. Have a wonderful summer, and don’t forget to text in pictures of your summertime adventures!